McLaren Honda driver Fernando Alonso was stuck behind the Mercedes-powered Williams of Felipe Massa for the most part of the 2017 Brazilian Grand Prix, unable to get by in the straights despite appearing faster in the corners. 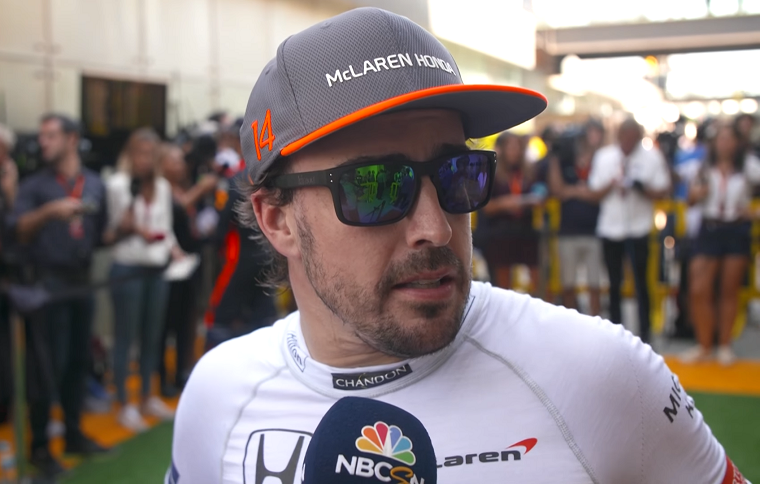 Alonso has been very vocal about his car’s Honda power unit over the last three years and may have been instrumental in McLaren’s early decision to split with the Japanese manufacturer, when originally their partnership had been intended to last a decade. He has, on the other hand, been optimistic about next year’s new partnership with Renault, with whom he won two consecutive world championships in 2004 and 2005. “Renault is the best engine company in the last 15 or 20 years if you see all the championship so I think we should not be worried,” he said. And yet Alonso is not painting a complete picture. While Renault did power him to two championships and did power Sebastian Vettel’s Red Bull to a streak of four championships from 2010 to 2013, the latter was accomplished at a time when the sport was in an “aero formula”—that is, when car performance was more dependent on aerodynamic efficiency than engine power. The Renault engine has always been slower than the Mercedes or Ferrari engines and this has been a great source of frustration for Red Bull since the new hybrid engine formula of 2014. Moreover, Renault power units have been exceptionally unreliable in 2017, even more so than Honda in the second half. And while McLaren has been quick to claim that its chassis is so good it would be competing for wins with a faster engine, that may not be totally accurate either. There’s no telling how Toro Rosso-Honda and McLaren-Renault will perform next year—but one thing is for sure: it’s bound to be extremely interesting.